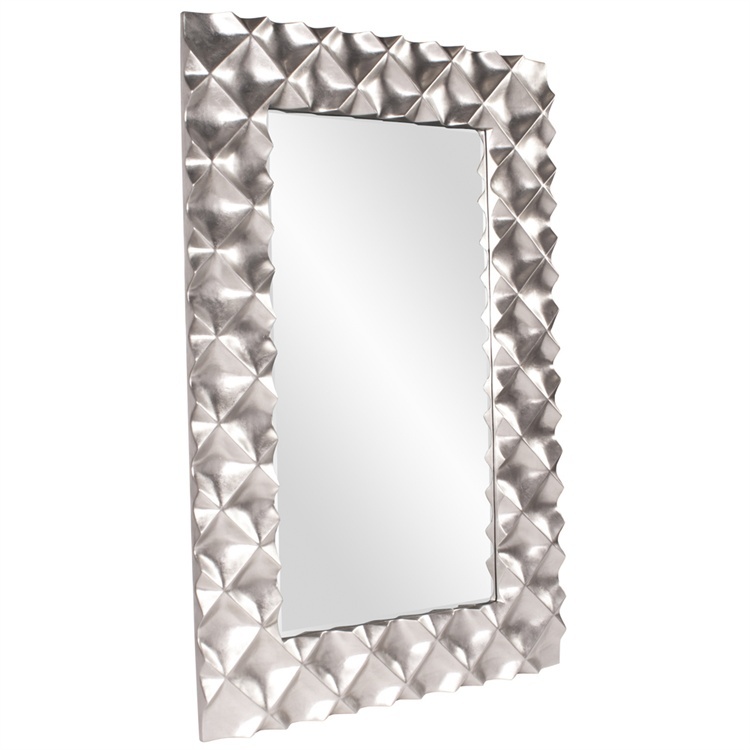 The Kingston Mirror is a piece of dramatic beauty. Its huge stature makes it perfect as a floor mirror. The large rectangular frame is fashioned from resin featuring an exaggerated honeycomb texture. It is then finished in a bright silver leaf. Instantly make any room larger simply by adding this mirror to it. This stunning piece would be a great addition to any design. Customizable for larger orders.